Product #21641 | SKU GPG-12 | 0.0 (no ratings yet) Thanks for your rating! 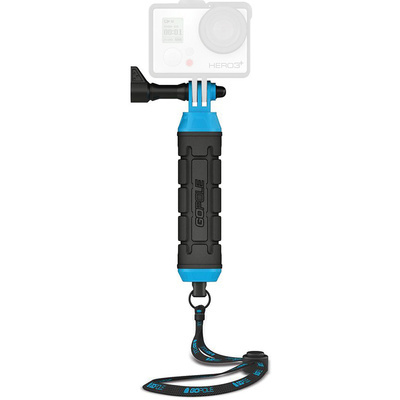 The Grenade Grip Compact Hand Grip for GoPro HERO from GoPole provides a texturised handle for hand-held shooting with your GoPro. Constructed from plastic with a rubber grip, the Compact Hand Grip won't be damaged if it gets wet. The mount is a standard GoPro three-prong type with thumbscrew fastener that is compatible with most GoPro housings and frames. A wrist scrap lanyard and carabiner are included for added security should the grip slip out of your hand, or to secure the grip when not in use.